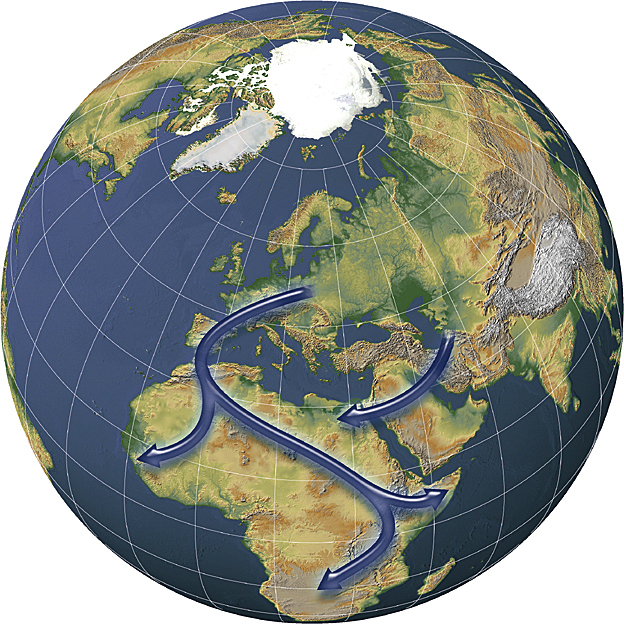 Map illustrations can create a view of the earth from space. 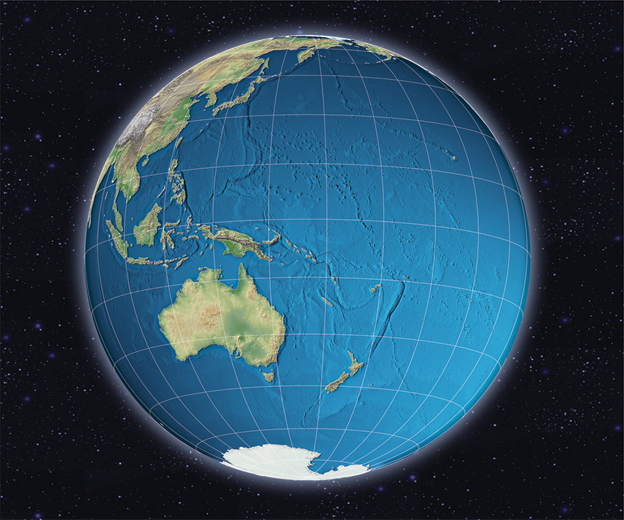 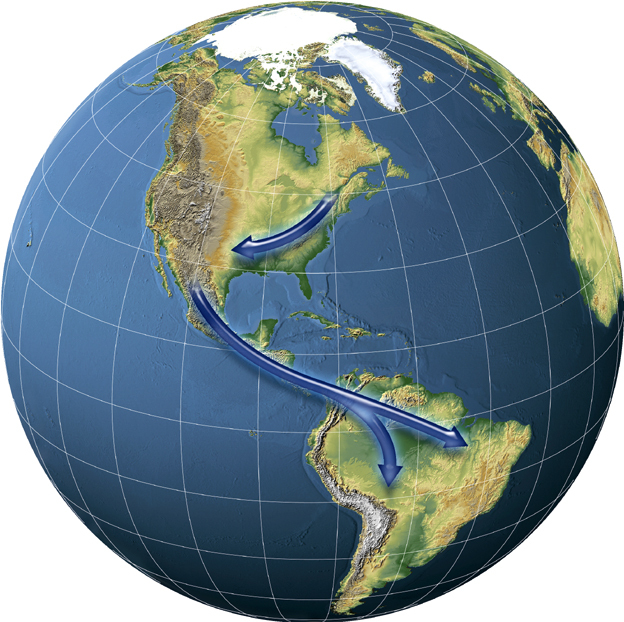 The earth's surface and/or ocean floor can be depicted as flat colors or with full topographic shaded relief. 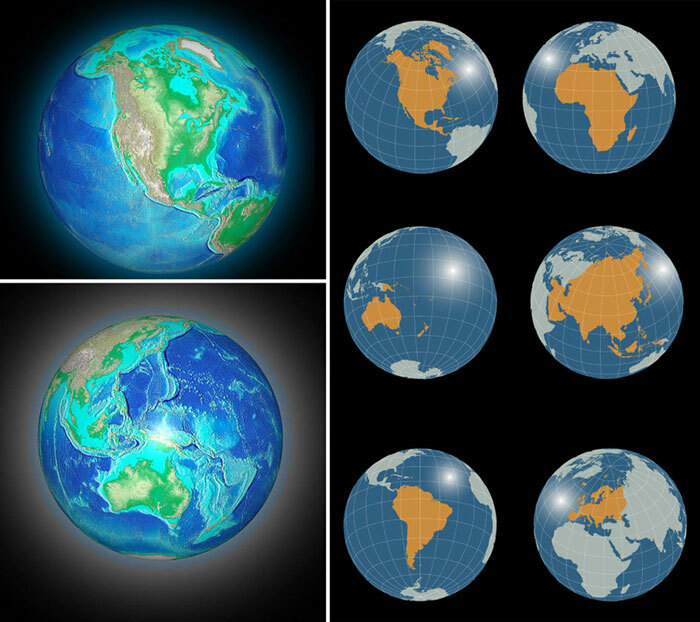 Map Illustration globes can be customized with thematic overlays if required.